Real Estate is in growth at the moment for various new projects being launched in Delhi NCR. It has opened the door for families where they can find many options to choose property according to their needs at affordable prices. With every new project, new facilities are also getting added to it to make apartments much better than their dream home. Now days there are many Real Estate companies to help buyers and investors in selling or buying a property at good price. Advertisements are also there by companies to help people in terms of buy/sell/ rent their property .It’s tough to mention the name of all companies all together here in one place in Real Estate. Many companies in Real Estate are located at Noida. These companies help the buyers in finding and purchasing the right property at right price so that they can buy their dream home easily. In terms of property, Delhi has become very congested area. Establishing any new property with wide range of new facilities is tough. Most of the companies have moved from Delhi to Noida. As Noida is in Delhi-NCR & it is still a developing area. The developers have many ideas to develop this region in better way. As Delhi metro is available for commutation from Delhi to Noida don’t let feel people that they are in different state. So there are better options for selling/buying/ property in Noida as compare to Delhi. RealtorProp Company operates in Noida and other nearby locations and provides the services in Real Estate. RealtorProp helps you in buying a home, selling a home, renting a home, do investment in real estate and help in constructing new homes. 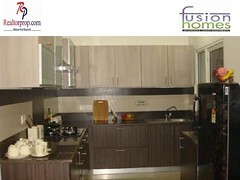 Not only in Noida but we have range of properties to buy/sell/rent at other locations as well. Wherever the properties are in Noida, most of them are being offered by RealtorProp. To name a few we have Ajnara Grand Heritage in sec.74 offering 2/3/4 BHK apartments having area 1007, 1134, 2115 sq. ft., JM Aroma in sec 75 offering 2/3/4 BHK apartments having area 1079, 1122, 2115 sq. ft., Gaur Sports Wood offering 2/3 BHK apartments having area 1007, 1234, sq. ft., Express Zenith in sec 77 offering 2/3/4 BHK apartments having area 1097, 1134, 2115 sq. ft. These apartments have facilities like Swimming pool, Reading room, Playground etc.